EcoStar is the leading innovator in LED Televisions and smart TV technologies. This nationwide brand has now launched an awareness campaign to inform the consumers about the deceptive TV screen-sizes being sold in the Pakistan’s electronics market. It cautions the customers to be cautious about the malpractices that are commonly observed by the buyers of LED TVs. Many under capacity LEDs’ are being sold in market with a fake claim of complete size. 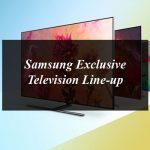 Being a responsible brand that believes in transparency – EcoStar has prepared and issued a meaningful advertisement messages, advising the buyers to actually measure and confirm the LED screen before purchasing any Television, because many of the LED TVs, do not measure up to the claimed screen-sizes. For example; some TVs claiming to be 40 inches in size, are actually 2 to 3 inches smaller. This deceptive practice is more common in 40 inch, 43”, 50” and 60 inch LED televisions. So, EcoStar requests the consumers to be careful and make sure that they are getting the accurate size of LED, which they have paid for. EcoStar also wants every buyer to be aware of the correct way to measure the LED screens. They should take an inch-tape and measure the LED TV screen diagonally; from the top left corner to the bottom right corner of the screen. This will give them the accurate size of the screen. The customer should know that the size of an LED is one of the most important elements, which reflect the reliability and authenticity of a Television brand as it ensures customer satisfaction. It is important to remember that size of LED is always “0.25” to “0.50” inch less than the said size due to panel addition but if it is more less than this the unit could be claimed as under capacity.